My mojo seems to have taken a bit of a vacation on me. Perhaps it's because I have spent so little time creating lately. What you see above is the product of what seemed like hours that I spent yesterday stamping, cutting and throwing away. I love the result, but the process was quite torturous. Do you have days like that? 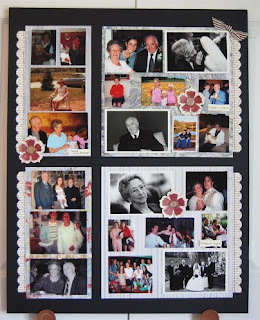 A new challenge went up today on StampNation, "Flowers for Mom". 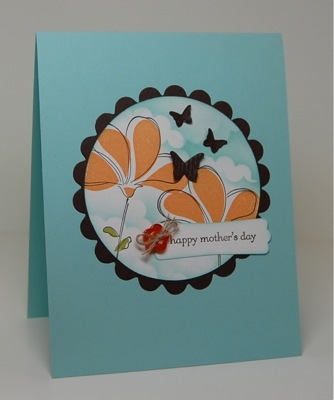 Create a card for Mom that features flowers. I used Awash with Flowers and made a fun Spring scene by sponging the background, while masking portions of it with a punched scalloped circle. It a fairly simple technique that added a nice touch to the overall feel I was going for here. I think it even adds a bit of dimension. *Exciting news...Just minutes ago Doug ordered me a new computer, WOOT! It has been torture jumping between three computers, I can't wait to have one of my own that actually works!!! Don't forget to check out StampNation. A quick post tonight, I am once again having computer issues, so I have to use my hubby's computer quickly while the kiddos are getting into bed. 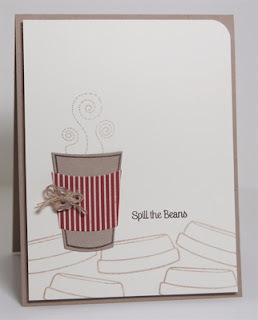 I had to stop in though to let you know that I finally made a card :) I turned to the CAS-ual Friday sketch to get me inspired today. It felt great to create!!! Thank you for continuing to stop in through my blogging break. I'm hoping to get back to my stamp room tomorrow, but until then, I thought I'd share the memory boards and some of the layouts I made as a tribute to my Gram. 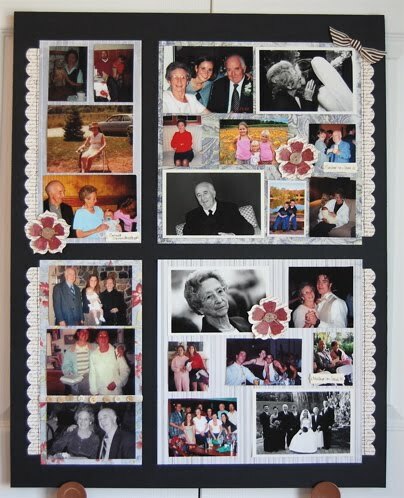 I made two memory boards where I included pictures of Gram from a young lady and bride to a Great Gramma. My friend Catherine has just released a book called "Life Scraps", her style of scrapping through story telling has really inspired me. With that in mind, I made a few layouts to tell some of my most treasured memories of Grandma. 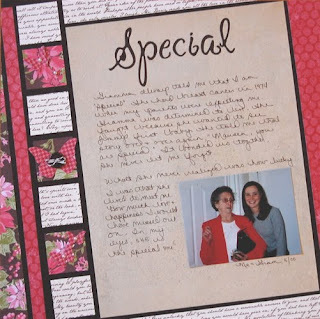 If you are a scrapbooker or had been and felt overwhelmed, I encourage you to check out Life Scraps! 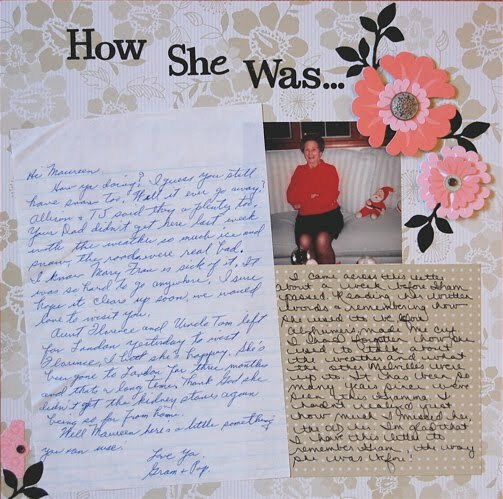 This was a wonderful journey for me, to remember my Gram the way she was before Alzheimer's. It was a therapeutic process that made me laugh & cry. I have quite a few more stories to tell, maybe I'll share them down the road. These may not be the prettiest layouts I've made, but they are by far the most meaningful! My Gram will live on through generations because of these pages. 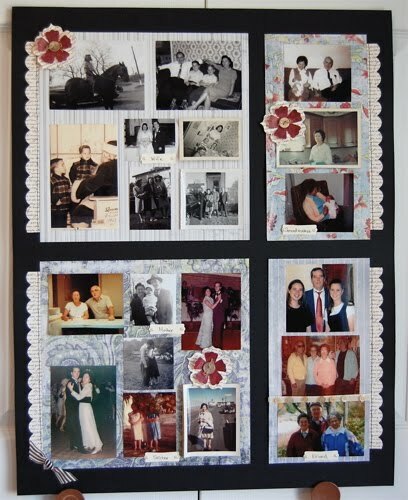 What a wonderful hobby and gift for my family. Hi all! I hope your weekend is off to a great start. Slowly, but surely, I'm getting my groove back. 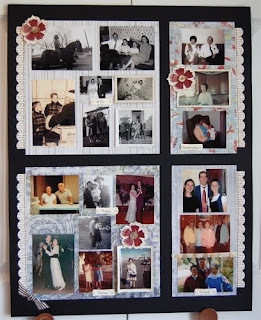 Since Gramma's funeral isn't until this coming Wednesday, I had a bit of a lull in between arrangements and my memory board & scrapbook projects for the wake. 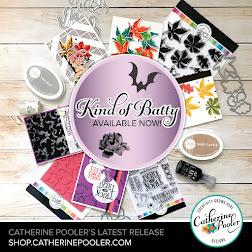 I received a package of new stamps & dies on Monday from the latest Wplus9 release and really wanted to play with them. 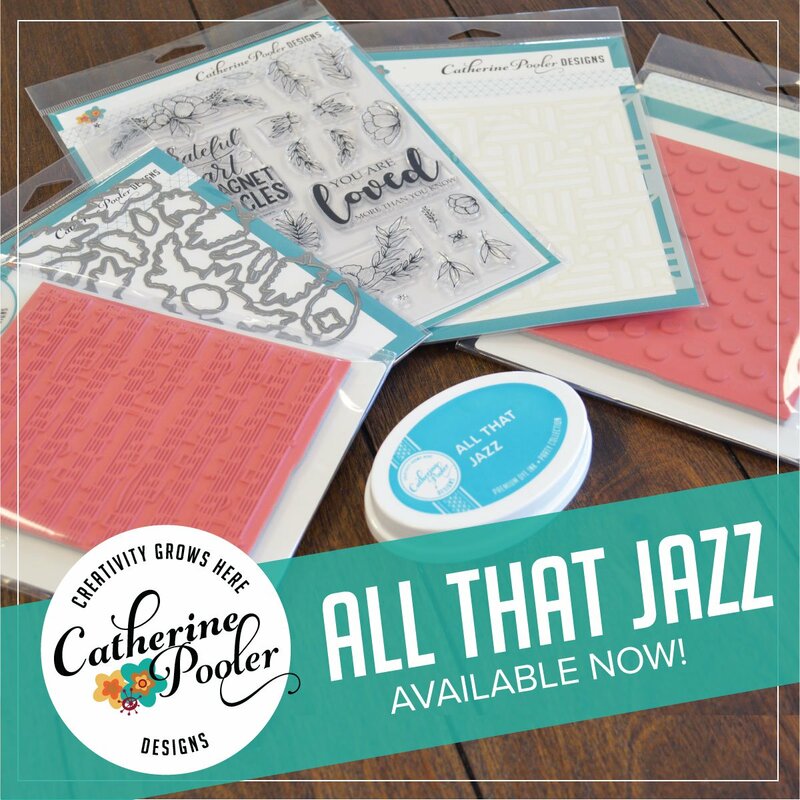 I usually have a plan when I head to my stamp room, but this time, I just played :) I started by stamping Mother's Day Bouquet in shades of pink & green in the background, then stamped Defining Words over the background with Crumb Cake ink. 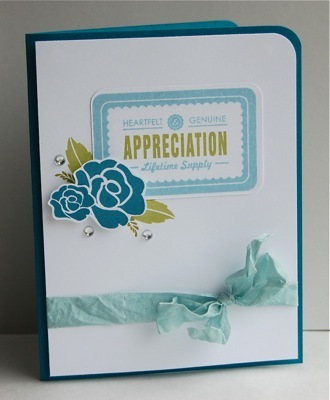 The sentiment, from Heartfelt Mix, was stamped on a banner that I die cut using the Banner Trio die. I can't tell you how happy I am to not hand trim the banner edge. It's a simple step, but it looks so much better die cut!!! 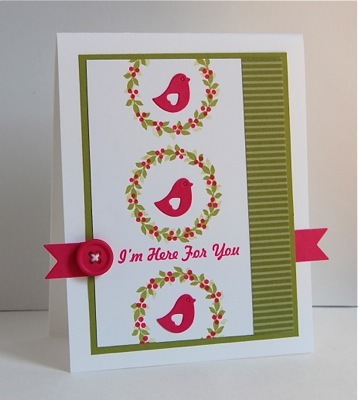 I added just a simple leaf and button embellishment to finish off the card. 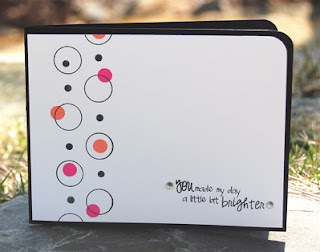 I'm really happy with the way the background stamping came out. I think I'm going to try it in a variety of colors and leave them without sentiments as a note card set. I'll let you know how they turn out. My posting over the next week or so will be sporadic, bare with me. I know you understand. And thanks to those that left me love in regards to my Gramma, it's much appreciated! 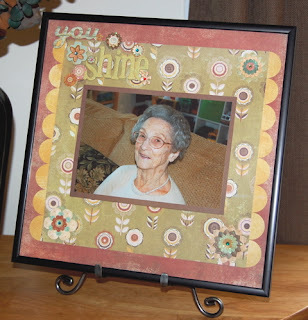 On Sunday we said goodbye to this beautiful lady, my Gramma, Marie Melville. She lived a wonderful 93 years. She will be greatly missed. Happy Easter. We have a new CAS challenge for you over at The Outlawz, "Shape it Up!" 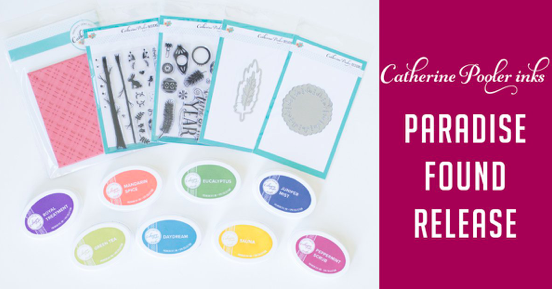 You could make shaped cards, die cut windows or use shaped stamps like I've used in my sample. 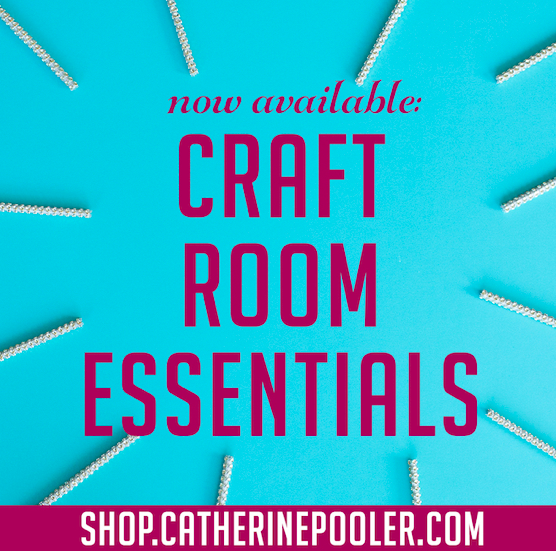 Head on over to see what the other gals have made! Being the class mom for Ethan's class, I get to do lots of crafts etc for him. I plan his class parties & visit on special days to take pictures so that I can scrap them for his classroom yearbook. In fact, I'm visiting today for the "Spring Celebration". I have I rarely gotten to participate in activities for Conner, or I should say, I've only been invited into his class once all year. I decided it was time to do something special for him even though I can't be there. I made sour cream containers for all of the kids in his class. 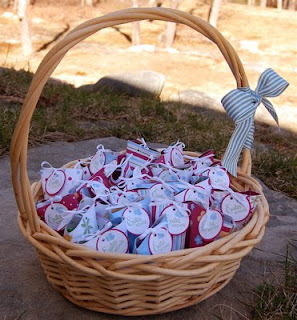 I put a treat in each one and tied them up with ribbon & a little tag. They were fairly quick & easy to assemble. It's a great project to use up retired dsp too! I've seen these around for a while, but after watching a video tutorial on SN and seeing how easy they are to put together, I knew I had to make them! 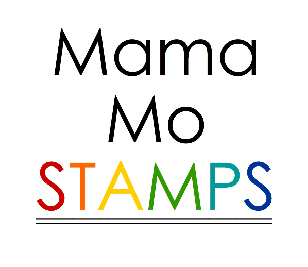 Have you checked out StampNation yet? 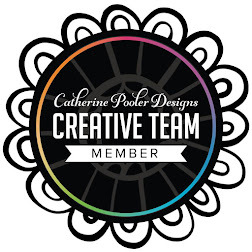 Catherine is starting another series, Color My World. 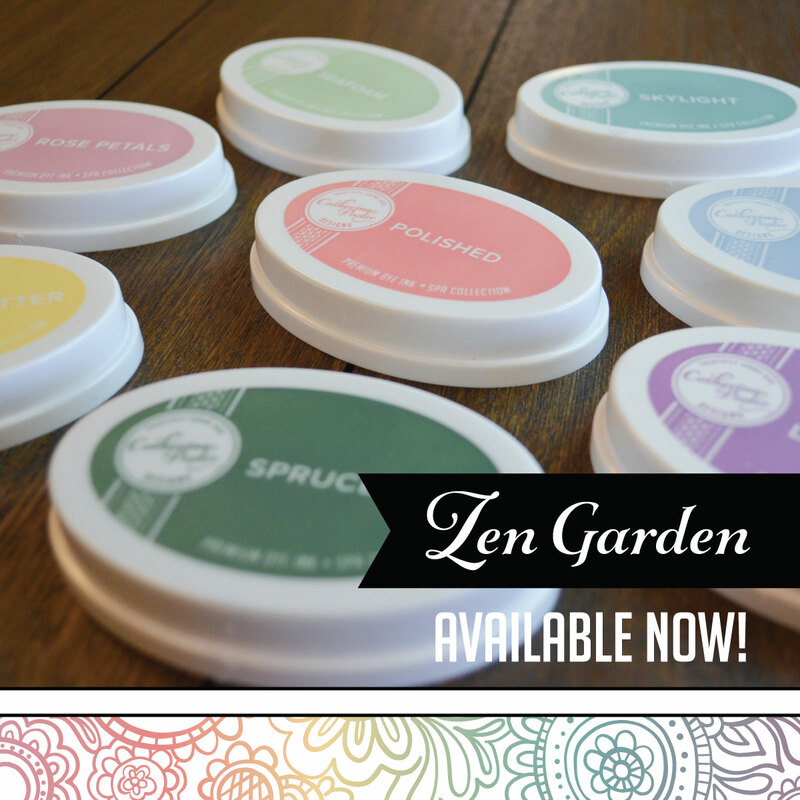 So, once you've colored eggs with your little one for Easter, head to StampNation for some grown up coloring! 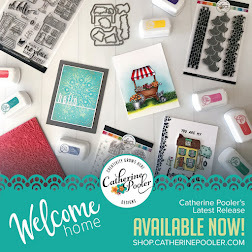 Hello my stamping friends! Happy Monday, I hope you all had a wonderful & restful weekend. 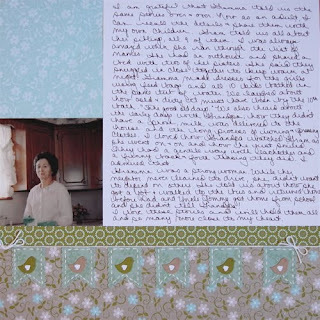 My card today was inspired by the CASE Study challenge this week. I liked the monochromatic colors as well as the layering and banner edges on the inspiration card. I started by die cutting a mat of Pink Pirouette cardstock. 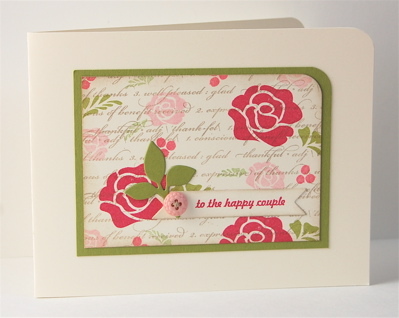 Then I stamped it using Papertrey's Gingham Background Stamp in Melon Mambo ink. 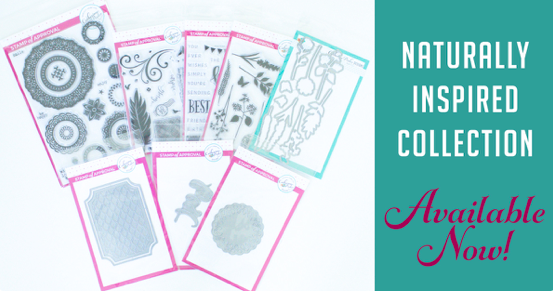 I trimmed a strip of the same paper and cut banner edges with my paper snips. Next I die cut Wplus9's Circle Stacker dies with White & Pretty in Pink cardstock, then stamped the frame & sentiment from Spring Tags. I used the Rock & Roll technique on the Easter eggs to give them a little more interest. 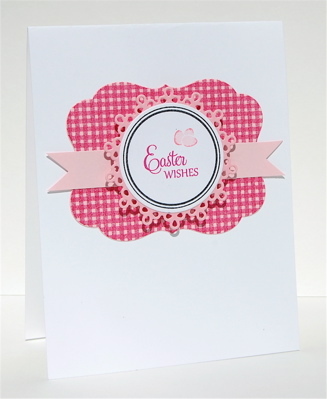 I can't believe Easter is under a week away and this is my first Easter card this year. Shame on me!